What does a day in your life mean to you? Much routine, no doubt. Work somewhere, unless you are like me and dispensed with. Then home. But What of Ern’s Day? Rather different from yours or mine it’s quite an adventure to tell you. I’ll do my best with that adventure. The first thing to note is that in those early days, beginning in the 1940s, Ern’s camera was a vital instrument of a major newspaper. It was its eyes. There was no television in Australia until the late Fifties, and even then TV took a long while to find its way into every home. Radios had to be licensed. Portable radios were not so common. You had “live” or immediate awareness of world events only if you were involved in the actual disaster or were in fact present when, say, Bradman scored his hundredth hundred. The other immediate source was the radio if you had one and paid the licence. 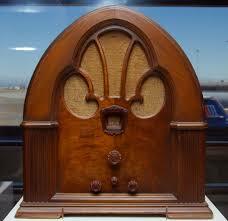 A Philco “Cathederal” radio from the 1930s. Attribution: Wiki Commons. The standard way of getting the latest news was to read about the event in your paper perhaps around twenty-four hours later and see Ern’s pictures. Moving pictures with voice over would take longer – a week or more later. “Live” images in your living room were nothing but a distant future dream. So the teenager, fresh from school, was thrust into the front line of news reporting. He had to learn his craft quickly. He was well taught, for example by people like Charlie Cameron, an old time master photographer in charge of the distribution of photographic materials to the staff of Truth and Sportsman Ltd. Charlie and others mentored the lad, yet he was never spoon fed. Photographic resources were costly and money was scarce in those early years. If you were sent out on a job, no matter how sensational or significant it was, you were never given more than six film frames for your camera. You would get them in a blackened box, 35mm raw materials. You really had to know your craft to avoid waste. You would fix one into a 4″x 5″ frame, load it into the magazine at the back of the camera and eventually take the shot. That was it: “One strike and you’re out!” Bad shot! Missed the target! Cut off a head! Too bad. No second chance. Ern knew nothing of the present day digital simplicity: click click click click and then pick the best shot. Not satisfied? Click click click again and then take your pick. The important point to note here is that the progress we accept as normal today was still to come. Newspapers, in Ern’s golden days, were overtly and so obviously the focal points of information for the mass of ordinary people. In the train on the way to work of a Monday morning, all you would notice was not people’s heads, but their newspapers. You would see row after row of them in every carriage. Headlines! Headlines! Headlines! Constant repetition if you happened to walk down the carriage aisles. Such a contrast to today: everybody cocooned in iPhones or the equivalents. 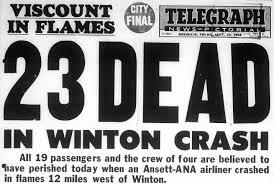 Newspaper advertising then was very profitable too. Ern had to get things right to preserve the paper’s good name linked to advertising. To survive for fifty years in the profession, you had to conquer the challenges – the shortages of time (deadlines were deadly) and equipment and funds. Your survival depended on your own determination and inbuilt personal resources. The Forties and Fifties were a special time for the movies though, and news began creeping in there too. 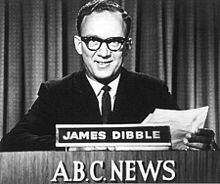 “Picture Shows,” as we teenagers called them, began to have additions called Newsreels to bring the news to you in a retarded kind of way, maybe a week or so after things happened. These news elements were gradually creeping into cinemas from the Forties. In these cinemas for each program of feature films there was a usual place for newsreels, possibly Cinesound, Movietone or Gaumont British or Universal or Paramount news, before the main feature(s). If you were a news addict, you might visit one of the newsreel theatres – small venues that showed a continuous array of around eight to ten collections of assorted, brief news documentaries. Those shows kept on repeating until closing time and, if you were part of the audience, you got up in the dark and walked out when the item you first saw came round again. It is quite clear from this isn’t it, that newspapers and the photographs they contained, in the earlier times of Ern’s professional life had far less competition than they have today? Their status was naturally higher. Let us look now at more details of Ern’s working day. Ern travelled to work in a train. Sometimes by tram or in a bus. To jobs far and wide public transport was his only recourse. He had to be ready for anything on these sorties of his. He had to be prepared with equipment for any kind of news events the gods or Fates decided on. So ALL his equipment had to go with him on every job. This was far from easy. 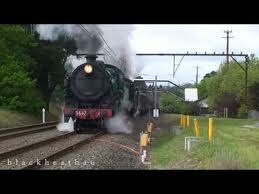 His Speed Graphic camera for example, had monstrous weight that seemed to double after even the shortest walk. 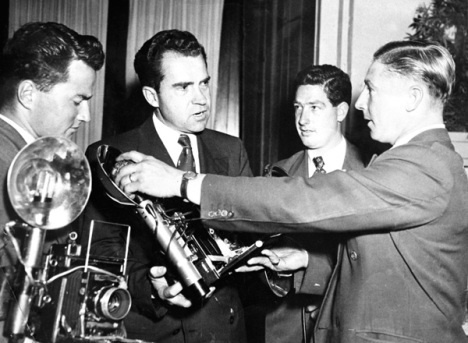 Here Ern shows his heavy equipment to Richard Nixon. Then there were the telephoto lenses; the filters; the wide-angle lens. On a country job you had a bigger load to carry. You needed the chemicals for developing and printing the pictures, photographic paper, clips and string to hang the prints and let them dry. All this on top of your toothpaste and clothing and normal travellers equipment. As a former boxer and Rugby League winger Ern was fortunate to be fit enough for the task. Apparently a request was made to the boss of one paper, Sir Frank Packer, for something to carry small items in. Some of his photographers were soon jokingly referred to as “the plumbers” because Sir Frank had bought each of them a plumber’s bag for this purpose. Improvisation was the key for out of town work. Dark rooms are not automatic inclusions in country hotels. Running water was also a necessity as well as the darkness, so a toilet or a laundry might have to suffice. Let us say, to create an example, there was a break-in at the Lithgow Small Arms Factory, across the Blue Mountains west of Sydney, Australia. 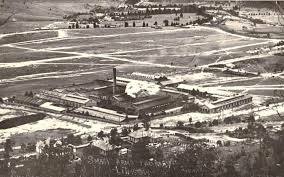 Lithgow Small Arms Factory, Our Sample Job. Attribution: Wiki Commons. Ern’s transport on this job would be a steam train from Sydney’s Central Rail Station to Lithgow, a distance of some 89 miles or 143 kilometres. Ern’s early transport to “the Bush.” Attribution: Wiki Commons. Should it be winter when you arrived in Lithgow, you would be weighed down further by an overcoat or else freeze towards death. This is how you would complete your mission. First, your visit to the news scene. Then the shots, determined by your artistry and sense of newsworthiness. Then it would be full speed to a dark room, wherever it may be. Develop your prints in your container with the room essentially at the right, and only the right, temperature. The developer liquid of ready mixed chemicals then had to be quickly rinsed off. Then the fixing in another solution. Then the hanging out to dry in the darkness. Then came the printing , the 8″x 6″ or 10″x 8″ photographs for the editors to construct a story around. This stage too was work for the true artist. Perfection was never automatic. The next stage of the process seems to us with-it folk of the twenty-first century rather quirky. It was off to the Post Office and the 6″x 5″ picturegram sent to the journalists and editors back in town. Things were out of Ern’s hands then. The experts at head office had their materials to prepare for the next deadline. So there you have it. That will have to do for now: just a taste of a past era told to me by a master, always with a twinkle in those eyes and a smile on that face. It has been my great good fortune to know Ern and listen to his stories. If you would like to share more of Ern’s adventures, you might enjoy a visit to this site. If you have a special interest in Horse Racing, you might find interest at this site. Simply for a little more pleasure in Ern’s company, you might find that pleasure here. Thanks for sharing this time with Ern and me. I know Ern would want to join in with those thanks. I hope you too feel that publishers and film makers should link up with Ern while the chance exists. I am learning to share life also with all the wonderful image makers of Creative Commons and Wiki Commons. It’s such a joy. It works for me. I want to recommend it to anyone who reads these thoughts. I wish – especially wish for this post, to acknowledge the mastery of the Russian artist whose work is my featured image (and whose name I have not yet been able to share because of language difficulties). More details can be found at the link below. As with all material used independently by me, my best course seems to provide the link to my source. Please Note: The works of original artists used by me on this post are unchanged and used totally independently by me. As you can see, in my effort to show respect for the artists, I have linked to where I found each image. If I have erred in any way, please advise and I shall remove the problem. In response to each picture I have used my imagination to try with my words to leap into different parts of your thinking space. I feel so fortunate to find such shoulders to try to stand on. 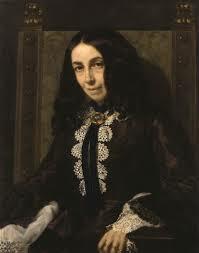 I would like to end with these two quotations by Elizabeth Barrett Browning on photographs. I have treasured them for a long time.